Nobody ever thought it was trash. On the preview weekend, everybody noticed its burning was ludicrous. Took a bit longer to recognize the healbot spammer potential, but nobody ever thought it was trash. Guessing you didn't ready the Guardian forums huh? Foooo, profession forums are always biased befoynd belief in Quaggans experiance. Firebrand has never been trash from a competitive perspective. And still people have their heads in the dirt when it comes to good firebrand builds. This coming from someone who I basically just 500-50'd like 15mins ago in an AT because he ran mender's firebrand with axe AND took 1v1s against necros on their nodes. Its on stream too btw. You my good sir have your head in the dirt when it comes not only to firebrand builds, but the firebrand role aswell. You might want to get your own head out first before making that statement. It is trash if you are not playing support. I have only seen FB work as dps in one game since PoF release. It is op support clearly. It also required some cooldown and cast time reductions as well as fixing the scaling on F2 tome. The problem with support Firebrand during the preview weekend was the kitten scaling and that it was too easy to lock them down and prevent casts. Wrong. Some people still think it's garbage and they want healing on staff 1 to "make firebrand less garbage". That's more of a staff revamp, which is kinda a good thing and less of a problem with FB and more of a problem with the weapon itself. Staff works with FB because FB offers on-demand stability for staff channels/casts. Staff doesn't work with core + DH because of that lacking. Also, the auto on staff is just baddd. It's almost like these suggestion have pve in mind, you know the mode where support firebrand is a meme? And it's about staff, a weapon that has no clear identity or use, not about firebrand specifically. Yeah but the OP from that thread and @RabbitUp.8294 said healing firebrand was a bad support, and it NEEDED staff buffs to be a good healer (healing-wise) like druid or ele, which isn't true, because FB support is a very good off-meta healer. Firebrand support side is overpowered as kitten in PvP/WvW and need nerfs, theres no point in giving staff more healing just because "it isn't good enough for core guard", it will just make heal FB even stronger. This isn't the reason people want staff buffs. The reason is because for guards currently, staff is a garbage weapon that is underperforming in all 3 game modes. On FB being garbage: it actually was garbage until the pre-PoF balance patch. During the demo weekend, I tried a build with 1400 healing power and was about as supportive as a full marauder's druid... the healing on f2 was abyssmal and was one of the things I as well as other guards pushed for the hardest when giving feedback. Staff in pvp is used for all of 1 skill on its bar, the warding line, and the only reason that kitten works is because of the quickness FB gives when exiting tomes and the stab spam which also lets you finish an empower channel every now and then. replace staff on support FB with literally another mace/shield set and the performance wouldn't drop off by more than like 10% for the spec overall. Underperforming in all 3 game modes you say? That's like me saying they should buff the Engineer's Rifle Hip shot damage by 50% because the weapon is objectively and arbitrarily "bad", but highly represented in meta builds. Staff would still be used in 100% of the meta builds for support if all it had was skill 4 and 5 with 1-3 disabled. started playing support FB during beta. not for a single second did i think it was trash lol. how can a spec that is more tanky than tempest, has more healing, more stability/stunbreaks, quickness and cleanse be trash? Beta FB's tomes had twice the cast time and the mantra range was basically 20% of what it is now and the F2 tome's healing wasn't even half of now, beta FB was trash. Agility Sigil on Staff makes Line of Warding or Empower often not reliant on exiting tomes. Altruistic Healing builds utilize the Symbol of Swiftness for self-healing, pre-buffing in PvP and group swiftness in WvW is useless too am I right? I'm not really empathizing with you if you don't want to double tap your Orb of Light even as a .5s cast filler attack when it gives a 2.5k heal and 4s Light Aura in 240 radius. Poor, poor Staff Firebrands, comprising 20% of WvW and competitive PvP when there's 9 professions. Poor, poor Staff Firebrands, forced to use these dumb filler abilities like Orb of Light and Symbol of Swiftness. I hope it's sinking in how spoiled and petulant complaining about "underperforming" Staff (as Arcaedus.7290 puts it) makes you seem, seeing as any net positive power changes will just make the game even more unbalanced. What is it you want from Staff, let's hear your suggestions? Ooo... Guardian Staff is very good as long as you abuse Quickness from Swift Scholar or Sigil of Agility. I'm not even on the "make staff lootstick again" bandwagon, I think it serves its purpose just fine, but not to the extent of the "end all be all" pinnacle of support kit you're making it to be. Make Empower not self root and front load the swiftness on the symbol is the only change I'd suggest. A lot of Firebrand is trash (axe and the idea of playing it as hybrid power and cond dps class) until people figured out how OP the bunker build was. But you can't be serious with the Burning/Offensive Firebrand no one runs a Firebrand seriously as anything but a support bunker. This. I wish people in the forums were honest about their favorite classes, i think guardian is in a nice spot right now in every game mode, it hurts watching people cry over stuff like this. Yeah i think staff could use a rework because the weapon is boring, but everytime i see a discussion about it people just want more heals and boons. Smh. More buffs across the board, nice. Maybe combined with Tuesday's buffs to Merciful Intervention and F2#4, Firebrand will become as viable as Tempest and Ventari supports. One day, guys. If you wanted to know what nerfs I'd want, then ask what nerfs I want. Hyperbolic soapboxing is a bad look on you, I've long stated that the Tomes are overbalanced in their boon/cleanse support. Why would I make an assumption you thought Firebrand should be nerfed in any way? You haven't even hinted as to your opinion on that once. So you make assumptions that I only want buffs? Ok carry on then, you're not looking for discussion, you're simply looking for quotes. You can substitute staff out for something else and you really won't notice a large difference in firebrand performance. The core of that firebrand bunker build comes from the Honor traitline + traited tomes + mantra of solace + around 1000 healing power. You can make just about any other substitutions you like and the build is still nigh unkillable and brings ridiculous support to the table. Although it is on meta battle and often mentioned as an alternate pick, staff is not the meta in wvw, mace/X + hammer is. You're probably upset with current pvp balance, especially with how overtuned FB is but trust me, staff is NOT the reason why, not by a longshot. It was originally intended in this game as a mid-ranged to ranged support weapon. Had potential to deal some damage as part of a condi build, and paired with Permeating Wrath. It now offers a single noteworthy ranged skill, which is symbol of swiftness. Otherwise it's very much a melee weapon. Still brings mediocre boon support, only if specifically built for it, but is superceded by a plethora of other options (staff is comparably much weaker now than it was before). Healing has not kept up with power-creep. Standing still to cast empower is a major liability, especially in wvw. Skill 2's healing is almost negligible as well. The ranged nerf essentially converted staff to a melee weapon. For melee weapons to deal damage involves trading hits with foes. Staff can not trade with any other weapon (mainhand or 2h) in the game right now and come out favorably. Last but not least, lets discuss staff from a design standpoint: What in your opinion should weapons represent in this game? In my opinion, weapons should offer a strong foundation but only reach maximum potential given a specific build/stats (aka, they become the cornerstone of a build). Staff did just this in the 2012-2015 era of balance but has since fallen far from grace. As of right now, for someone who isn't specced into honor/valor and doesn't have adequate healing power/concentration, staff gives them: Next to no damage (regardless of whether you're condi or power), very poor support that requires coordination (your allies must remain within range to receive might or swiftness), negligible healing and one of the most ignorable and poor CCs in the entire game. Once specced into honor/valor and with a healthy amount of healing power, staff goes from complete garbage to a mediocre weapon that doesn't really make for the cornerstone of the build (evidence: replace staff in the bunker guard build with literally anything, see how effective it is). You shouldn't require a very specific build AND stats just to make a weapon viable in a select few scenarios in one game mode. To me, that's garbage. Staff is like a very tiny piece of the puzzle that you don't really need to see the entire picture, or a small packet of ketchup that you may or may not want with your burger, or the friend you hang out with when no one else is available. Staff exists for guard and it helps a bit given a very specific build/stats but it's really not outstanding by any means. It needs buffs and preferrably a rework. Staff is NOT the reason why, not by a longshot. It needs buffs and preferrably a rework. Nobody is coming on to this thread and trying to assert that staff is where a Firebrand's true strength lies, I seriously don't care. My only message to you is that right now buffing or reworking staff which equals a net power increase is insane. The only time I will respect someone's suggestions to buff/rework staff is if it comes paired with suggested nerfs to Firebrand that as a package will make it on par with other supports in PvP/WvW. My only message to you is that right now buffing or reworking staff which equals a net power increase is insane. This I'll gladly agree with. The balance team's policy seems to be nerf before buffing something else. FB bunker is overtuned and needs nerfs before buffs. I really hope the next time Anet considers doing a skill overhaul during an underused weapons/utilities pass, they don't skip over buffing staff though. lol people saying empower is a liability to cast when you have tons of quickness & elite stab (which has a lower recharge time than empower lol). do you even know how to play dude? Heals per pulse was good but not much of a buff and light aura on staff 2 is kinda like giving a single dollar to a homeless man, when you made him homeless by stealing half of his savings account (the staff 1 nerf). lol people saying empower is a liability to cast when you have tons on quickness & elite stab (which has a lower recharge time than empower lol). do you even know how to play dude? Maybe like, "oops forgot to mention, these suggestions are in the context of Firebrand getting nerfs to tomes etc." Spirits are druid-exclusive, yet ventari and tempest don't struggle as much as FB. And tempest can't even stack might, when firebrand can actually stack might, contrary to what you think. Yes, the lack of sustained, reliable, at-decent-range healing is very much a problem. All those are not issues in PvP because range doesn't matter whether the game design forces you on capture points and aegis+Pure of Heart are significantly more reliable and impactful, which is a huge buff to pvp firebrand's sustained healing. But before talking about buffs, regeneration is a big problem. Guardian is designed to have easy access to permanent regen with just the mace symbol alone. But regen is constantly overwritten by crappier versions, because stacking is based on duration, and guardian's duration is extremely short. So, despite having something like the mace symbol, and the mace weapon being balanced around that regen access, guardian is forced to slot crappy utilities to get regen from other sources. I would start by reworking regeneration before considering targeted buffs. That been said, my suggestion was never to just directly buff staff. Guardian reeks of old design, when group healing was not allowed to be relevant. They have healing on mace, shield, staff, focus and random utilities. In an ideal world, all those weapons would have a more defined identity. Make staff the dedicated healing weapon and mace the dedicated defensive/tanking weapon. Remove the healing on mace auto, or make it a self-heal only and put that healing on staff. And this isn't even a fair discussion. I was never ok with firebrand's design, and I'm not going to defend it. It's a complete trainwreck that I would gladly see deleted from the game without compensation. It only serves to hold guardian back, case in point keeping staff in the dumpster because it would be a buff to PvP firebrand. Bunker builds, huh? Is there bunkering in pve, because as it was said again and again, the staff rework thread was primarily a pve discussion. 2 is a 2.5k aoe heal that gives light aura (10% reduced condi dmg, & retal) on a 3 sec cooldown. sounds like a pretty good skill dude. Of course it sounds pretty good, too bad it's not the real skill, though. The cooldown increases to 9sec if you use the sequence skill and it's extremely clunky, with the orb flying directly to the ground and disappearing if you don't have an enemy targeted or turn your camera, which makes it much harder to heal allies with when the skill becomes effectively enemy targeted. The suggestion have been focused on fixing that clunkiness by making it a ground-targeted skill (like Rev shield 4), not buffing its numbers. The symbol is pure filler after the introduction of tomes. It's useful in the sense that it's better than a dead button. And complete, utterly useless in pve. It literally has no use 99% of the time. Oh geez, look how this weapon is solely carried by one skill for pve healer guardian. At the state he staff is currently at, I would gladly have it removed from the game and Empower made into a utility skill. 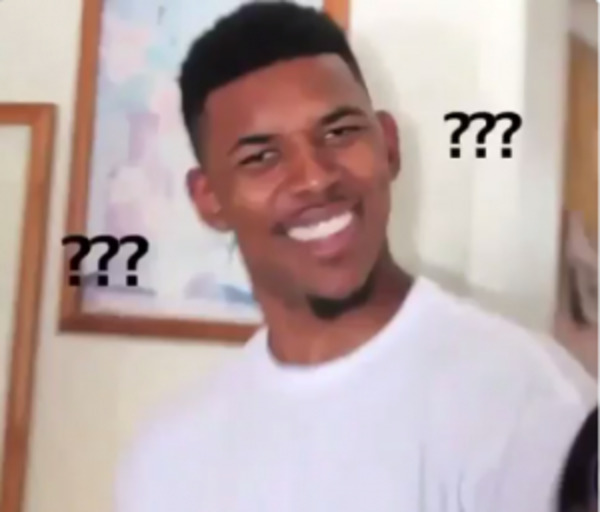 why are you talking about pve in the pvp forum, in a thread thats specifically about firebrand’s performance in pvp? why do you think talking about pve when i’m obviously talking about pvp (bunkers, pvp forum etc) is anything like a relevant or effective argument? if you’re going to try & be clever & say that you were talking about pve the whole time so im wrong to talk about pvp- i would like to remind you of a few things. this is the wrong place to talk about pve. also other people in this thread have said staff is garbage & underperforming in all game modes, which includes pvp. so since i wasn’t replying to one of your asinine pve posts it should be obvious that i’m talking about pvp, you know with this being the pvp forum. This thread and subforum may be about pvp, but the staff thread that was linked and started the whole staff discussion was about pve. It seems to me you are the one who has their game modes all mixed up. The sarcasm in this one broke my internet. Can anyone remember patch when guards couldn't successfully run multiple builds in pvp (possibly not in tourney but at least in ranked)? FB don't struggle with healing and defensive utilities. Also i know firebrand can stack (some) might and have 100% quickness uptime, i play that on fractals when my party can't find a chrono. I think i talked about this in the other thread. If you're not stacking on the druid you're not getting might/heal, so why are you think firebrand, a melee healer, would be different? If you want to play a ranged healer so bad you can play staff tempest, it's pretty good too. I wish we had another option other pure of heart tho, that might trait could be reworked into a heal per second trait or something like that. The regeneration meme needs to be changed but it isn't that bad for minstrel/harrier firebrand, because of Legendary Lore + Mantra of Lore. Iirc the only thing that can outlast those sources of guardian's regeneration is signet of inspiration from chronos or heaing spring and warhorn 5 from a harrier+dwayna druid, but you wouldn't have a druid in your subparty anyways. Plus, you use mace symbol to proc Writ of Persistence's healing if you picked that instead of Force of Will. Ehhh, no, staff is boring and all the other healers already use staff. I rather have them buff/rework mace for more healing than making guard a "ranged healer". Also isn't "organizing" utilities on the same weapon a bad thing for the game? Like, imagine if all thief's evade weapon skills were put in staff instead of 1 or 2 per weapon? Ouch! Right on the feels. Sorry for the off-topic posts, pvp bois. Again, your argument is just that, FB is fine because I say it's fine. You can't prove that FB doesn't struggle, but I can prove that FB is easily the worst pve healer based on group presense alone. Tempest and Ventari see a lot more use than Firebrand. FB can maintain 25 might with scepter+staff+Mantra of Potence and enough boon duration. The problem, like everything else the class does, is limited range. There's a big difference between stacking for optimal results, and mandatory stacking for a build to even function. And it's not about the group stacking on the healer, but the healer stacking on the group. There are mechanics that split the group, having range means that druid can throw a 1200-range Lunar Impact without leaving the group. So, range actually helps you stack better. And what kind of an argument is that guardian is a melee healer? What's the compensation for that? You can't just say, oh it's the flavour of the class, guardian is melee, but everything else stays the same. Even their unique (among healers) access to quickness is matched by Ventari's alacrity. And quickness (and alacrity) are a lot less impactful when chrono exists, while ventari and druid actually have unique buffs in the form of Assassin's Presense and spirits. So, again, what does guardian get as compensation for limited range and mobility? Aegis walks a fine line between "healing by another name" and its own unique thing, but in cases where aegis can make a difference, dps firebrand can provide it just as well. So, the only real thing is stability, and that's extremely niche in pve. Mantra of Lore is exactly the "crappy utility" I had in mind when I made that argument, the other being Hold the Line. Guardian should not have to use these for regen when they use mace. Otherwise, remove regen from mace and buff its healing to compensate. And Mantra of Lore is 5s, which means it will be constantly being overwritten every 3s by a chrono's Illusionary Inspiration with >66% boon duration. So, guardian would have to invest in boon duration, which they have no reason to do so in a chrono group. So, to sum up, Guardian needs to stack boon duration and use dead utilities to get what they already have baseline, just because regen works so badly. Then what would staff do? Mace can have an identity besides healing with the existing skills, staff would need a full rework regardless, because it would just being another healing weapon competing with mace. Bad comparison. Evader is not a role, healer is. Because you really need 1200 range all the time, right? Yeah thats why i don't play heal guard in all bosses, i said that before. But you want to stay stacked with you healer pretty much all the time for maximum efficiency, it is mandatory for druids too because you can't even stack CA or provite might if you're not next to them healing with trap/glyph and using staff 5-3 and 2. Like i rather play druid on VG, where sometimes i need to throw heals at the pugs, but i rather play firebrand on matthias where i can solo-reflect and spam stability and resistance for the bois. Mace is the guardian's main healing weapon and pretty much all tome skills are melee range, isnt that called "melee"? The compensation is having a lot of defensive utility and a lot of healing per second for your group. You don't need more than that to be a decent healer. Buffs. Maybe a unique % damage boost buff or something like ashes of the just? Or something similar to necro's staff marks but for allies? I didn't say that. Evasion is a mechanic, just like healing and shouldn't be stacked all in one weapon, we already have tome of virtues. Why didn't you prove it then? I say FB is fine because i play it 80% of my raids since PoF launch and i've never had a problem with healing issues even with another condi druid or my friend's meme-heal warrior. People with the "omg only 1 druid??? we gonna dieeee" atittude always get surprised how nicely and smooth the raid goes. If you want you can join me and my friends and see by yourself, just let me know if you want to do that and we can invite you the next time we group up for raids. The game was over, so I make wrong rotations to practice. Practice 1v1ing etc. When I see something I learn my limits by fighting it. Anyhow, I don't really need to defend my play to someone who completely failed in ranked without duoing and cheating. Tell new when you hit rank one on your own merit. Tbh its almost impressive that you are still strut around shamelessly after getting half your accounts permabanned from pvp. Any sentient person would probably take that as some kind of wake up call. Anyway support firebrand imo is horribly overpowered. I think removing retal from the elite and upping all mantras ICDs to 15s is a good start. You come on these forums claiming people have their heads in the dirt about firebrand because they don't run your mediocre build when it is basically a meme build that no competitive player would run. Then, you get exposed by this clip where you make a rotation to 2v1 a SB v Mirage 1v1. That rotation in itself was a "throw" but the fact that you died on top of that and proceeded to blame your warrior for "not pressing F" was the cherry on top. For your skill level you should not be talking to anyone about anything game related. Anyone that watches the clip I linked will know exactly why.